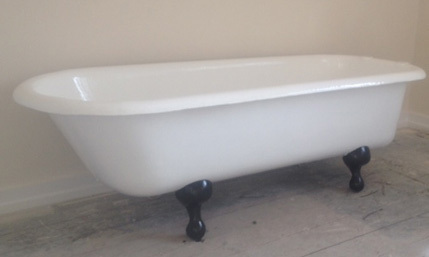 Why renew your bath when you can resurface? 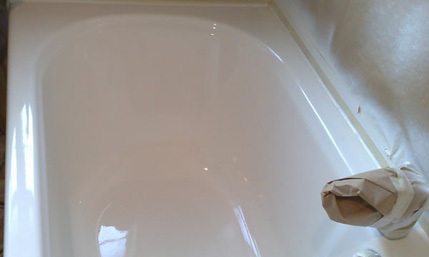 Pristine Baths bathtub refinishing/reglazing saves you money because there is no demolition and tear out of the original fixtures. 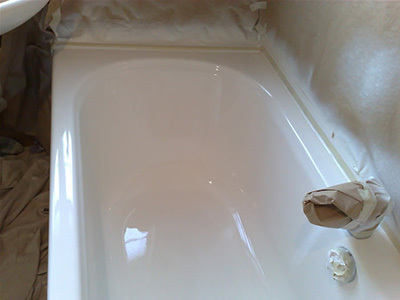 Pristine Baths bathroom & bathtub refinishing/reglazing gives you a shiny, durable finish that makes your bathroom look brand new. 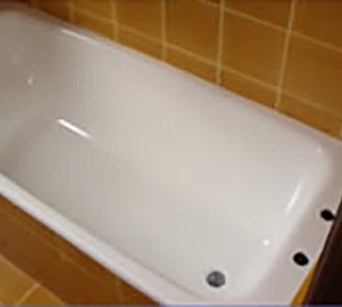 Pristine Baths bathtub refinishing gives you a 60% stronger bond for lasting durability. In-home convenience. 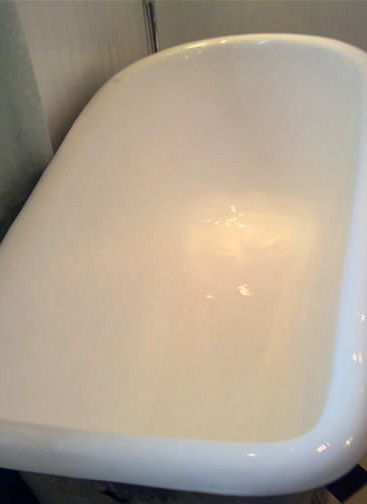 The bathtub refinishing is completed on site in just a matter of a few hours. 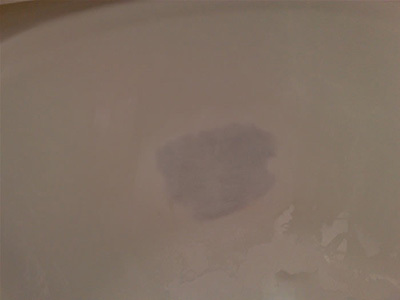 We can resurface virtually anything from a WC to a Rolls Royce! We carry out Spa bath & Hot tub resurfacing / repairs chip repairs scratch repairs dents blemishes etc repolish to good as new. Also bath & basin tap holes drilled spa bath jet holes drilled for spa conversion. 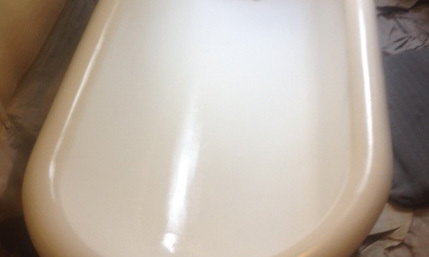 Re-enamelling or re-surfacing is a genuine trade that requires training, practice, as well as expert personal craftsmanship. 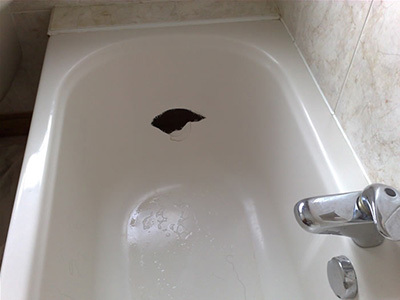 Bathtubs, sinks, ceramic tile, other surfaces are resurfaced right in-place. 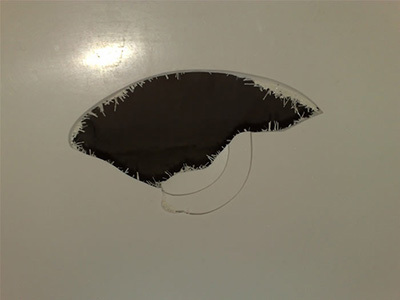 Bathroom remodelling and refinishing leaves your fixtures with a dazzling new look that is easy to maintain while creating the strongest bond available for a long lasting, beautiful finish with economical and effective bathroom remodelling. 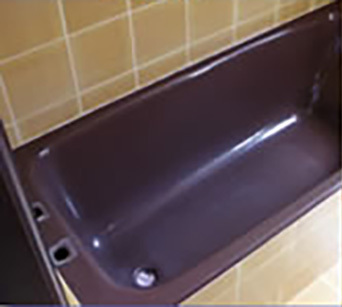 Save up to 70% on the cost of a new bath by having your old bath resurfaced (any colour). No expensive plumbing bills, no re-tiling, no need to change plumbing. Virtually no disruption. Polishing, Scratches, Chips, Re-Colour, Dents and more. All kinds of surface imperfections. © 2019 Pristine Baths. All rights reserved.